Sri Lanka’s budget airline Mihin Lanka will acquire an additional aircraft by the end of the year. This will the airline’s third aircraft. SriLankan Airlines Director and Chief Executive Officer and Mihin Lanka CEO Kapila Chandrasena said they are hoping to fly to new destinations with this third aircraft. “The airline is planning to lease an A321 aircraft which could accommodate 220 passengers,” he said. “We are now on the lookout for a new aircraft,” he added. He said the budget airline is hoping to fly to Manila and Bangkok with the new addition. Sri Lanka has the ‘fifth freedom right’ from Thailand to fly to Manila and this will be exploited by Mihin to launch flights to Manila. The new aircraft would meet these demands. With the introduction of SriLankan airline flights to Moscow two additional stopovers have been created in Dubai. Due to this, Mihin Lanka will reduce three of its frequencies from the current six to Dubai and re route them to Sharjah by the end of this year. “This would be a two per week frequency,” he added. The airline currently flies to Dubai, Gaya, Tiruchirapalli, Varanasi, Kuwait, Maldives, Dhaka and Jakarta and is one of the few budget airlines in the world that offers on board duty free and serves a hot meal. “We understand the profile of the traveller that we are targeting and their service requirements. We strive to facilitate the services our travellers value. 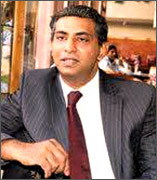 During the past two years we have seen an increasing appreciation of Mihin Lanka’s competitive prices and services by the masses,” Chandrasena said. 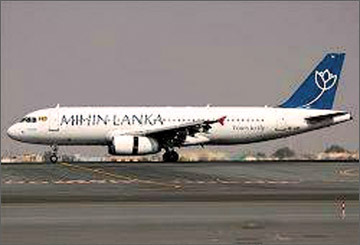 Mihin Lanka commenced operations on April 24, 2007 and its main focus is providing low cost flights from Colombo to a number of cities in India and the Gulf States targeting migrant workers in Sri Lanka as well as in Bangladesh, Maldives and India. Meanwhile SriLankan Airlines has ambitious plans to target three million passengers by the end of this year. The airline also plans to modernize its fleet of 19 aircraft which includes wide-bodied A340 and A330 aircraft and mid-range A320s. Twenty-six new planes will be commissioned by 2015.